For the German companies dealing with microtechnology, nanotechnology, advanced materials and optical technologies, business in 2013 has developed just as the industry had predicted earlier that year: at a constant level. But things are supposed to get better in 2014. The companies do not expect an enormous growth, but they are more positive than they have been ever since the outbreak of the financial and economic crisis. The situation and mood of the micro- and nanotechnology industry, which the IVAM Microtechnology Network queried in a recent economic data survey, coincides with the overall economic development in Germany and general forecasts for 2014. According to publications of the German Federal Statistical Office, the gross domestic product in Germany has grown by only 0.4 percent in 2013 – the lowest growth since the crisis year 2009. For 2014, the Ifo Institute predicts a strong growth for the German economy. Especially exports are expected to increase. The German micro- and nanotechnology industry is expecting increases during 2014 above all in the area of orders. 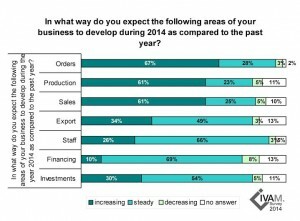 Production and sales are likely to rise for more than 60 percent of companies each. But just a quarter of companies intend to hire more staff. 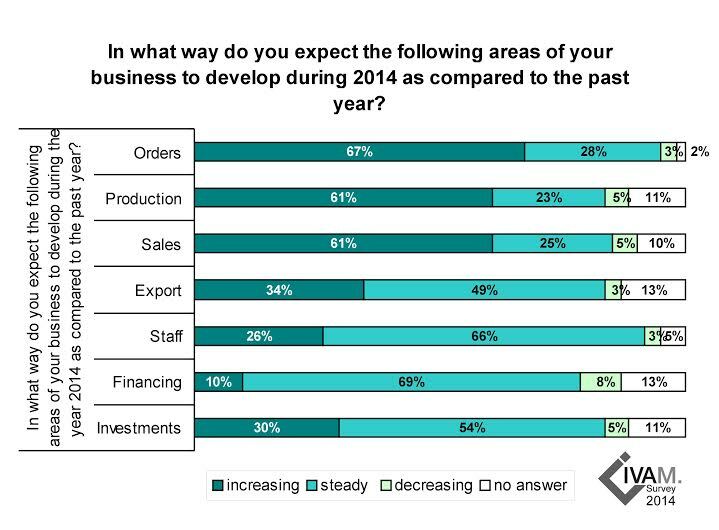 Only one tenth of companies expect increases in the field of financing. Nevertheless, 30 percent of companies are planning to make investments, which is a higher proportion than in previous years. The new research funding program of the European Union, Horizon 2020, has aroused certain hopes of enhancing financing opportunities for innovation projects. Compared to the 7th Framework Program, Horizon 2020 is designed in a way that means to facilitate access to EU funding for small and medium-sized enterprises. Especially small companies are still a little sceptical in this regard. 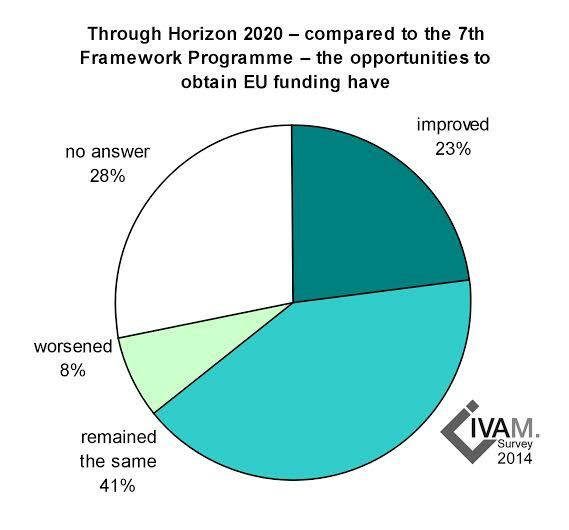 In the IVAM survey, 43 percent of micro- and nanotechnology companies say that EU funding is essential for them in order to implement their innovation projects. Three quarter of companies are planning to apply for funds from the new program. But only 23 percent of companies think that their opportunities to obtain EU funding have improved with Horizon 2020. Many small high-tech enterprises presume that the application still takes too much time and effort. However, since the program had just started at the time of survey, there are no experiences that might confirm or refute these first impressions. The NSA surveillance scandal has caused a great insecurity among the micro- and nanotechnology companies in Germany concerning the safety of their technical knowledge. The majority of respondents (54 percent) would not even make a guess at whether their company’s know-how is safe from spying. A quarter of companies believe that they are sufficiently safe from spying. Only 21 percent are convinced that they do not have adequate protection. A little more than a third of companies have drawn consequences from the NSA scandal and taken steps to enhance the safety of their data. Most companies agree that each company is responsible to ensure the best possible safety of its data. But still, almost 90 percent demand that authorities like national governments and the European Commission should intervene and impose stricter regulations. They feel that although each company bears a partial responsibility, the state must also fulfil its responsibilities, establish a clear legal framework for data security, make sure that regulations are complied with, and impose sanctions when they are not.